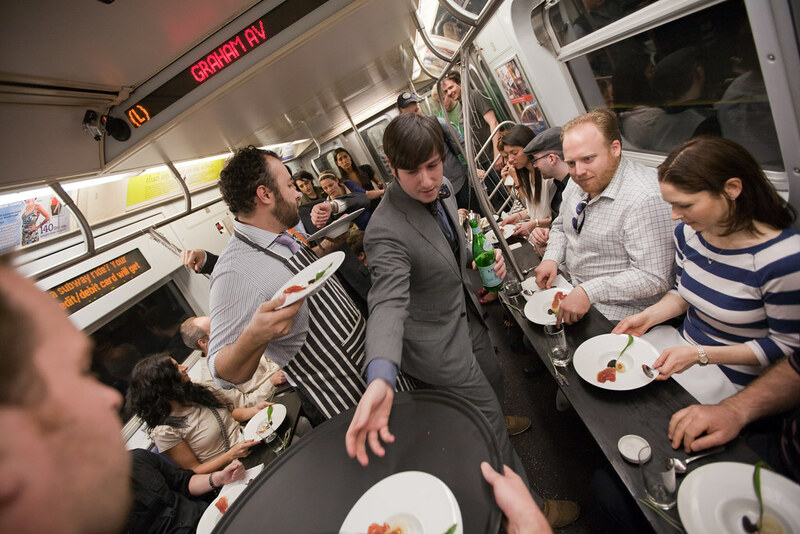 The theatrical culinary group A Razor, A Shiny Knife recently organized NYC Dining Car, a popup restaurant that served a 6 course meal on the NYC Subway L train. Here’s a New York Times story on the event by Melena Ryzik. 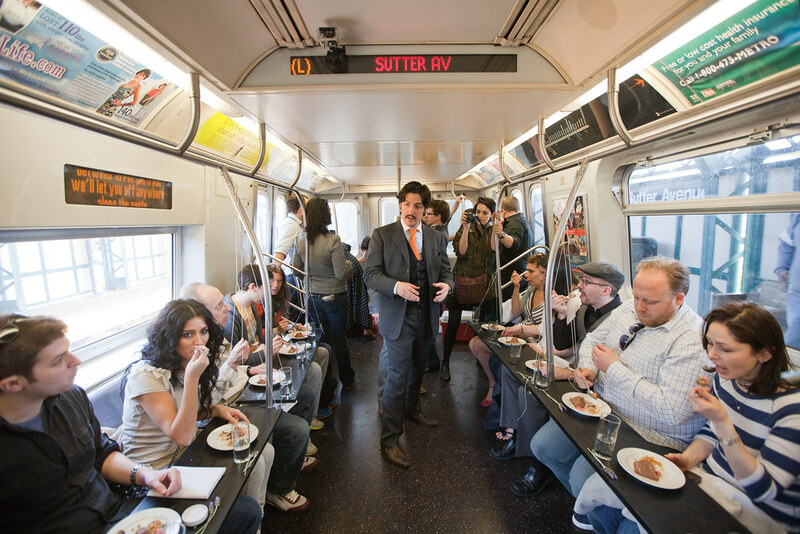 Quite possibly the ballsiest interpretation of the “popup restaurant” phenomenon to date: 12 guests were treated to a full 6 courses on an NYC subway commute from 8th Avenue to Canarsie, with a new dish being served every third stop. 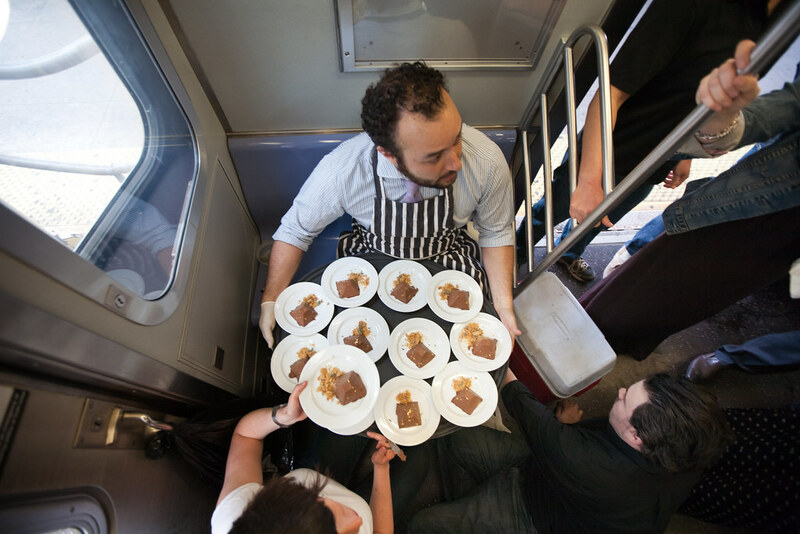 Courses were plated by teams either on the platform, or in the train itself, and served to guests on custom-built straphanger tables. The exquisitely planned and executed event went off (amazingly) without a hitch. The Great Gatsby was read, diners were stuffed, onlookers drooled.